Former calypso monarch Herman ‘Cupid’ Francis has turned his medical challenge into a call to action for men. 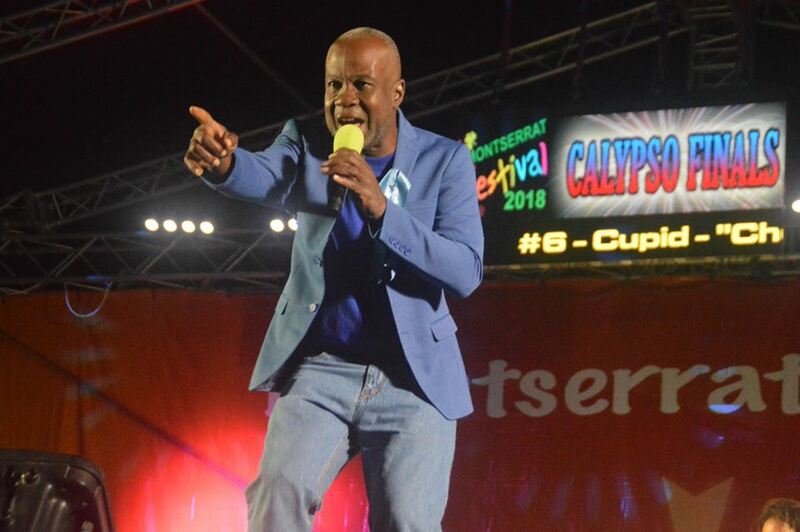 Cupid, a four-time calypso monarch for Montserrat, made it to the final round of the 2018 Calypso competition despite being in the middle of treatment for prostate cancer. Prostate cancer is a cancer that starts in the prostate gland, which is a walnut sized gland at the base of the bladder in men. Diagnosed last October, following a biopsy in Antigua, the artist said he accepted his condition immediately and sort advice from his doctor who was “amazingly helpful”. After visiting doctors in Barbados, scans revealed that the malignant cells are confined to his prostate with no eminent sign of spreading. The cancer is now being suppressed by treatment tablets and further medical tests are in his future. Cupid is also a steel pan instructor for the local private schools and leads a community orchestra called The Volpanics. Annually, he organises the Nite of Pan event and 2018 was no exception. Despite the diagnosis coming so close to his busiest season, the singer chose to go ahead with plans to compete and created a song that spoke to his illness and encouraged men to Check Your Health. “The response to my song has been tremendous. Men on Montserrat have told me of family members who succumbed to prostate cancer and vow to do regular checks,” Cupid told Discover Montserrat. 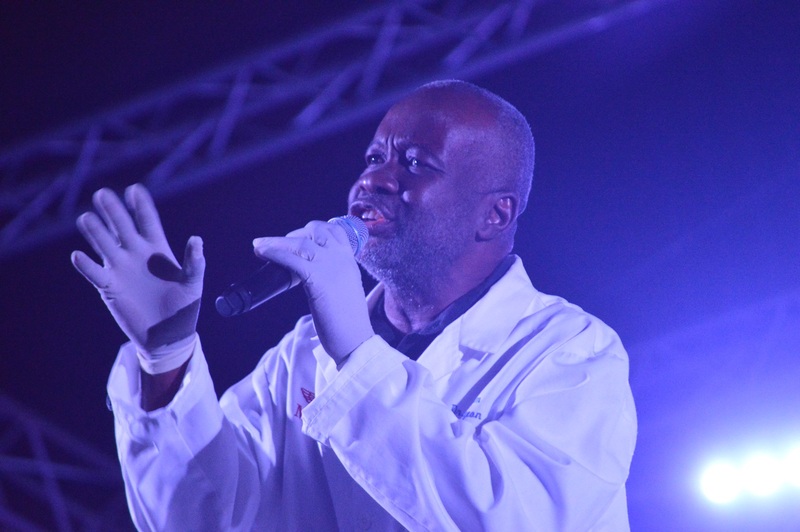 Cupid dressed as a medical technician at Calypso Eliminations 2018. Even though the competition is over, the song continues to gain traction and Cupid is using the opportunities presented to share his story and encourage men to check their prostate. He recently spoke at a women’s dinner on how women can help their men. Cupid expressed this same message in his final performance of the song, where he had nurses and doctors on stage with a man who was fearful of getting tested until his wife went with him. Sarah Halloway, says hearing Cupid sing the song in the calypso competition had a profound effect on her and she has been sharing his music with various organisations that promote men’s health. “Within the first minute of his amazing performance, there were tears rolling down my face. My wonderful father came to the end of his fight with prostate cancer in May 2018. I had the very special honour of nursing him to the end,” Halloway shared. “My Dad was the best Dad in the world. He was also the typical man, as so well described by Cupid. He did not take the opportunity to be routinely tested and by the time he was diagnosed, his cancer was terminal. Halloway has shared the song with Prostate Cancer UK who are currently doing a special awareness raising campaign focusing on black men, due to their increased risk of the disease. The song is being shared on relevant social media sites, so that it can be accessed by groups who are active in raising awareness of prostate cancer. “It is our hope that it will continue the good work that I know has already been started here by this song. It was so much more than a calypso song. Cupid, you are a brave and wonderful man and I thank you for your bravery in sharing your song and wish you all the best,” she added. Cupid is in our prayers and we wish him a speedy recovery. Listen to the song below and please encourage the men in your life to check their health.